Team Gary shirts are in and look awesome. Huge thanks to Gary's co-worker Tracey for doing the lion's share of the work in getting them made. 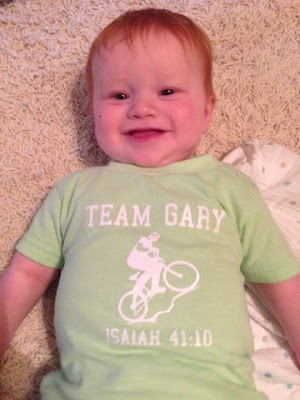 We were so happy to find out they could make pint sized Team Gary t-shirts for the littlest members of Team Gary...or more accurately Team Granddaddy. 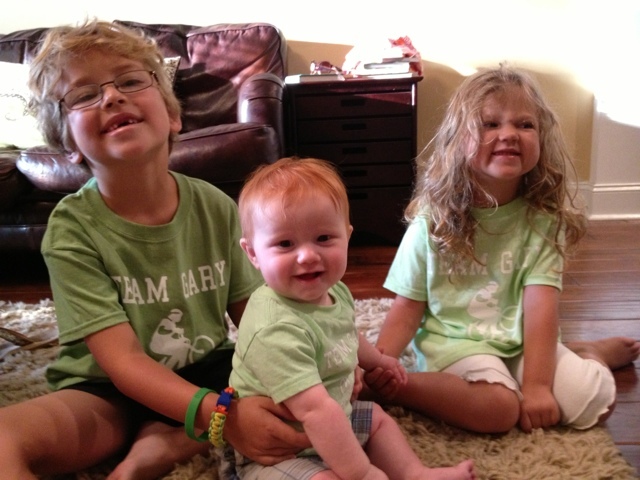 Perry was excited to wear his shirt today in honor of the start of Granddaddy's second round of chemotherapy.